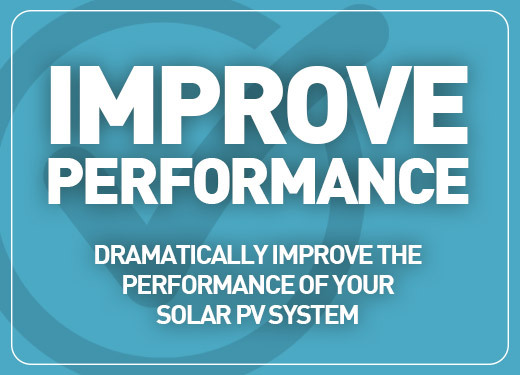 Once installed, the best way to ensure that your PV system continues to provide you with the highest possible yield is to carry out regular maintenance and cleaning. Green Power Solar offer a range of O&M services, whether you require a basic PV clean and health check on your domestic system or a comprehensive maintenance plan for a commercial site we can help to ensure that the yield from your PV system remains at its highest level. Installing a solar edge inverter and power optimisers can dramatically improve the performance of your solar pv system. Solar iBoost+ is an automatic water heating device for pv system owners. Its increased efficiency and functionality help deliver even more savings and allows you to conveniently monitor and control Solar iBoost+ within the home. Typically the incoming voltage to your property will vary between 216V and 253V as agreed with the current European Legislation. All domestic electrical equipment is designed to work within a range of 207V and 253V. But critically the optimum and most efficient supply voltage for these appliances is 220V.